Poll: Should GM Authority Review Non-GM Vehicles? We’ve been doing some thinking here at GM Authority, so this one is somewhat of a loaded question. But if you were to have your say in it (and trust us when we say that you do) — would you like to see us review vehicles from brands other than those sold by GM? How about if we did comparison tests between a GM vehicle and rivals in its class? Vote in the poll below then sound off with your opinion in the comments. Competition matters. Ignore them at your own peril. I dont know who or why they voted no, but their descision doesnt makes sense. 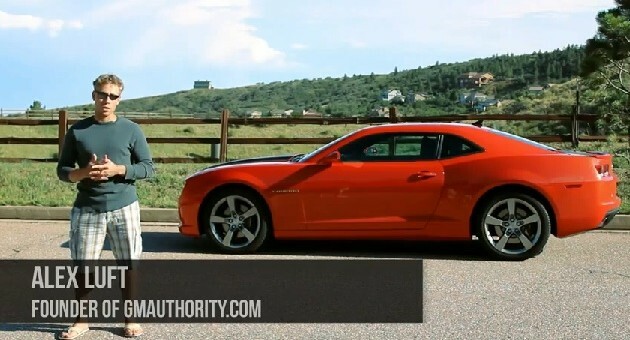 But of course every review shootout should always include a gm vehicle. I would just be a bit worried of a little bias seeping in, other than that there is absolutely no reason why other vehicles should not be included. I would love to see a Mustang vs Camaro speed test or maybe a HD truck tug of war. I know some people would say that it would ruin the idea of GMA by focusing too much on other brands but I dont mean every vehicle just some like aforementioned mustang, it would rather add too GMA’s appeal ad help us clearly realize the current GM’s product shortcomings and help GM fix those issues. I would not be in favor of simple reviews of other makes’ models. However, comparison tests against GM models would be well worth it. Just be sure that are as un-biased as possible and the cars in the test are as close of competitors as possible. No that would dilute the purity of GM AUTHORITY there plenty of crappy web sites that review the off brands. If you guys dont like it then no one is going to force you to click the link and read the post. I come here to read about GM vehicles, maybe an occaisional comparison but if you start reviewing other makes on thier own I’ll take this site off my favorites list, why bother with it? Of course not, that would be absurd, any occasional review of another make would include its comparable GM vehicle. Maybe a GM vehicle vs the segment leader. i never want to visit GMA and see the top 4 stories be about Toyota or a tricked out Subaru. Only reason to review or test the competition is if it is relevant to a GM vehicle. Agree that GM vs. segment leader would be cool. I don’t see a poll, what are the results? Head to head or top gear style, go for it. It helps to see the best qualities or cool features of other vehicles in the same segment and highlight them in the hopes of seeing them in a GM product one day (3rd row seats that fold flat into the floor in giant vehicle like a Suburban/Yukon/Escalade, rear windows that roll down like a Toyota 4Runner, etc). Is this just a ploy for y’all to tool around in more cars all day? Hmmmmm the poll works fine for me. Its right below the paragraph. Weird that you don’t see it. Tried on my iPhone, then an iMac, didn’t get it til I tried with a desktop pc. Not the first time that’s happened with polls on this site. I was also unable to view any of the Chevy Route 66 videos on that site and had to go to YouTube which was lame. Luke — not sure if there’s something going on with your ISP, but the issues related to the poll that you’re describing are simply not possible. The poll is not embedded any differently than the rest of the elements on the website… perhaps you’re not looking for it at the right place? Also, I use an iPhone, iPod Touch, and an Android device (Galaxy S) — the poll, videos, and everything else works as it should. I think comparison tests should definitely be part of the GMAuthority experience, it’s always important to know where the products stand in the market ( to fully be able to make yourself the right opinion of it) and before preaching it. One thing for sure out in the web is bad reporting or misinformation bashing GM and its brands, you have established an honest site full of information about a passion of many. (GM is watching and paying attention) I think talking about competition is good only when there is no preconcieved notion that GM is always playing catch up or is off the mark in some way. Most of the press has many years of ideas that GM is too big and builds just OK products nothing worth writing about. You started this web site and your name says it all GM Authority so the first priortiy should be GM products and I think adding relevent information about competition is good, but I would not use it to bash any product like most other sites do I would use your writing power to help make GM what they can be, better or more in line with the customers. One thing missing from all web sites is average Joe, no one lets average joe have a say in thier articles, I think this would be a great addition to your site having average joe or jane comment in your article not about your article, we know you and Manoli do a great Job but you need a balance of the general public that no one does right now directly. All are soliciting comments on articles but not letting the average joe have a bigger say in actual artcle. Think of Jay leno interviewing himself instead of the people on the street, we need you to get comments from people on the street or average Joe. keep up the good work. I don’t think there should be reviews of other cars, just comparisons. I agree with those encouraging comparison testing. I think it is very valuable and essential that reviews of GM cars include a comparison against the competition. The more you learn about the ‘enemy’, the more you also learn about yourself. An added benefit for Alex could be more efficient sharing of information between GMAuthority and his sister site FordAuthority. (Not implying that Fords are ‘girly’… well, maybe a little.) GM vs. Ford articles could just be written from the other perspective between the two. Which segments are led by GM? Pony cars and full size SUVs? It still seems like they have a way to go. The new Malibu hybrid is an embarrassment, the Ford Fusion slays it. And that was before they made it an econo Aston Martin. My segment leader remark was intended to suggest that we start viewing GM with a more positive and encouraging attitude. When we view other cars as segment leaders, that implies that GM is a follower. I readily admit that GM is playing catch-up in many areas, but attitude is also important. In sports, the 2nd place team doesn’t view themselves as no.2 when going head to head with the top team. It’s about using your positive attitude to influence the results. If you stop and reflect on the past 3 years. GM has come along way in a short time. Cadillac has gained ALOT of ground. For Buick to even be in the same class as Lexus was unheard of 3 or 4 years ago. Chevy has also made great strides in the smaller car segment. Look at the sales and satisfaction rates of the Cruze. The newer Malibu is significantly better than the tired design that was replaced. Sonic is a quantum leap beyond the Aveo. Having comparison testing available on this site, will help us to tout GM’s strengths and push them to improve where needed. Bottom line: GM isn’t a segment leader…. yet. But, if we don’t start thinking about GM in those terms than they never will be. Perception influences reality. Having comparison testing information available on this site give us GM fans a easily accessible source of good, factual information we can use to defend and promote GM products. Which segments are lead by GM? In product? The first three. Yes, it looks great. Does that it it will outsell the Malibu? Does it mean it will be a better car? Will it handle/feel better? Be more quiet? More comfortable? More sporty? Be safer? Other than that, the Malibu eAssist is not a true hybrid and is not marketed as such… so any comparison to the Fusion Hybrid, which will cost significantly more, is ill-conceived. Don’t ruin this site with competitor crap. I would say no. This is such a great GM site and that’s all I want to read about. Keep up the excellent work! First you need to do more regular reviews of GM cars; then you can throw in a periodic Malibu vs. Camry. But honestly if people cant rely on a strong review of a GM vehicle why are they going to look at a GMA review of a shoot out. If you do, it should be with a consistent focus on how this car compares to the GM equivalent. Where the model is better, where the GM model is better, etc. Any other type of review will have no credibility since non-GM people won’t care about the views from a “biased” GM fan site and unless there’s something GM specific about it, what’s the point? There are tons of other car review websites that profess no bias.